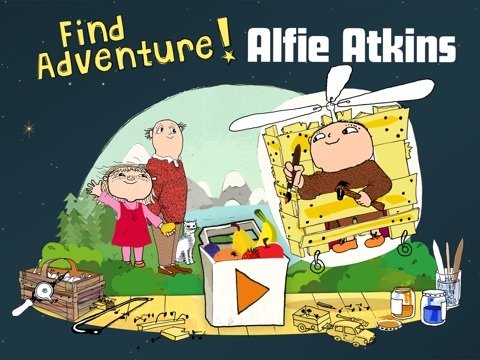 Young users will love exploring the amazing world of Alfie Atkins! 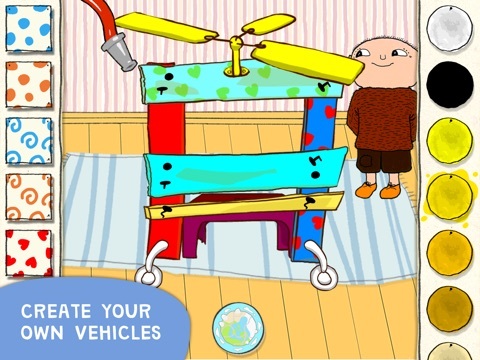 With cool DIY vehicles, friendly creatures and people, and interactive animations around every bend, this app will keep kids busy for a very long time. 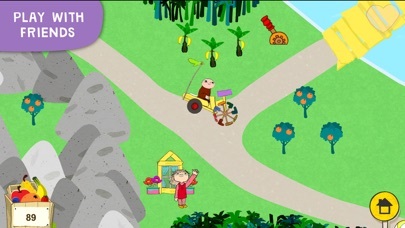 Children help Alfie build vehicles that take them on an imaginary journey through Alfie’s interesting world. They can help build cars, boats, and even spaceships, then take a hand in washing and painting the vehicles. Once ready, it’s easy to take off and explore a new path in this huge animated world that is full of interactive surprises just waiting to be tapped. 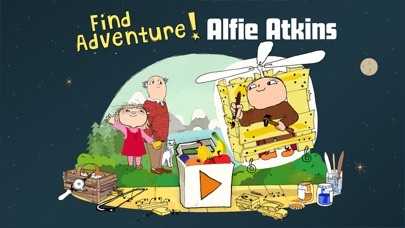 Find Adventure, Alfie Atkins is a very high-quality app. The interface is intuitive and perfect for the very young. The app is loaded with what the developers call “small surprises” that are perfect for young learners. It only takes a little experimentation to learn to push the levers that lower the drawbridges or tap on the piles of building materials to discover a new friend. The app has just the right amount of responsiveness, and the world that Alfie can explore is huge. This app has a load of educational punch, even though it has nothing to do with learning ABCs or 123s. It will fuel imagination and language skills with just a little encouragement from parents or other adults, and each scene invites story-telling. 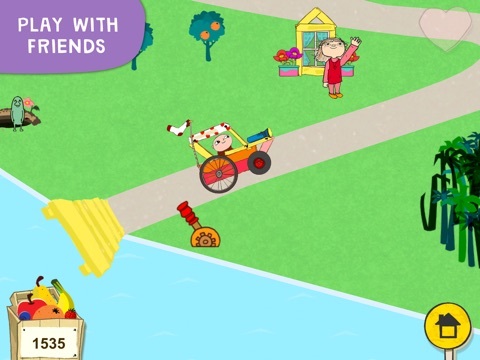 Get the creative juices flowing by building and then decorating Alfie’s vehicle, then jump out into the wide world and drive over a multitude of pathways and bridges that pass different kinds of homes, fruits and berries to pick, and more. Try touching some of the plants, and they bloom with musical notes. Pet the cat and be rewarded with cat sounds, and the list goes on. 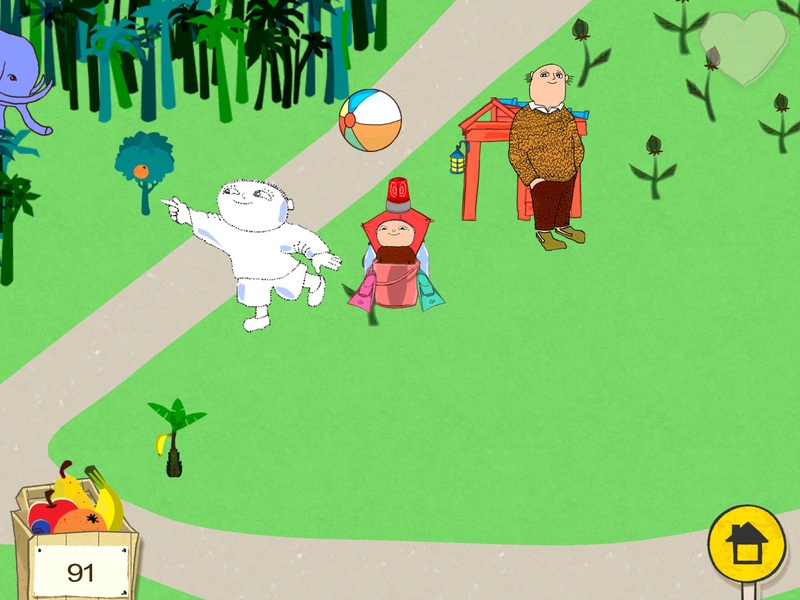 Find Adventure, Alfie Atkins is designed to encourage exploration and interaction. Sooner or later, the path leads to a bridge, and the young explorer will quickly learn about cause and effect as he or she discovers the levers that raise and lower the drawbridges. The paths twist and turn, and to keep Alfie rolling along, youngsters must trace the path with their finger (building fine motor control as they go). When users pick fruits, they land in the basket and an automated counter keeps track of how many have been plucked. The sheer size and variety of Alfie’s world will keep kids entertained for hours, since there’s always a new path to explore. Best of all, every once in a while, Alfie will stumble upon a gift-wrapped box. 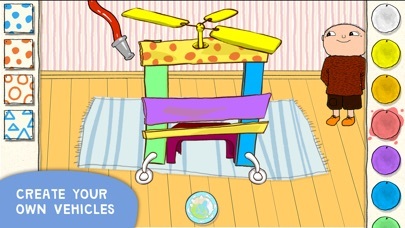 Tap it, and begin to build Alfie an entirely new vehicle that can be decorated all over again. Sooner or later, you will get to build Alfie a rocket ship that will carry him (and your child) to the stars and beyond. Even out in the farthest reaches of outer space, there are homes and friends to find, celestial bodies to tap that sing the music of the spheres, and more. Beneath the fun, there are some really important and basic ideas being implanted in young minds. All of Alfie’s vehicles are created from recycled materials, which just may prompt your own young inventors to figure out what can be built in their back yard with wood scraps and old bottles. And Alfie travels around his world making his own fun. He doesn’t need electronics or even traditional toys, just his imagination, and most children could use a healthy dose of that kind of independence. 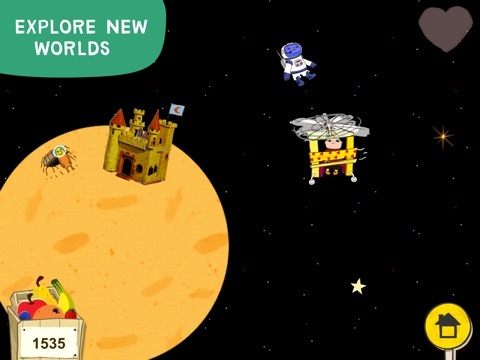 This app will keep your kids playing for a long, long time. There is just enough interaction in each scene to keep them guessing about what they will find around the bend, and who doesn’t love a road trip to who-knows-where? As children wind down the many pathways and work their way across the bridges, they will be a long time exploring and learning. Find Adventure, Alfie Atkins is very child friendly. 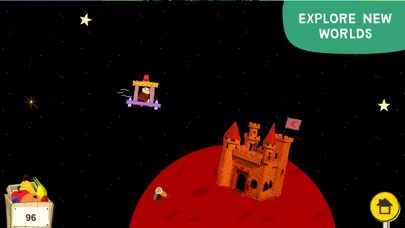 The parents’ section is challenging to open even for adults (requires holding the screen in the corner for a period of time), but it is worth the effort because developers did a good job of explaining their goals for the app, which will help parents of young users get some great ideas for extending the fun and learning.